First question, Are you a writer? You’re a writer if you fill notebooks with stories and random thoughts that could be stories. If your laptop/PC is full of files of stories you’ve written. You wonder why publishing can’t get easier in Kenya. You get jealous every time you see that Saturday story running on the dailies and wonder why it’s not your story and how you can be that person….^_^ You know you do. The second question is, Are you any good? The word ‘good’ is relative. Readers have different tastes. The world of fiction has different genres. There are those who are partial to a particular genre, and those who can read from each genre. Wherever your story fits, you’ll find readers who think its good, and those who don’t. If you get readers who love your stories, celebrate! You’re entertaining someone. If you get readers who criticize your work, take it with a grain of salt then shake it off. Grow a thick skin and don’t stop writing. Bad editing, however, does not make your story attractive. No one wants to read a story with glaring mistakes on every page. Work hard, spend extra time reading your story aloud and fix those grammatical errors. You may also ask a friend to check them for you, if you’re anything like me, if I read a page repeatedly; my brain starts auto-correcting errors. That means you’ll have a sentence that says knead, when you meant need, but you can’t see it. Pester the people next to you so they can read your work and catch those problems. The third question is, How do you get published? Traditional Routes are tough to follow in Kenya. 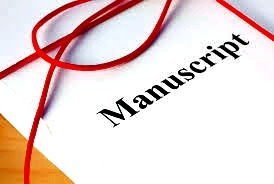 Publishing companies have strict criteria when choosing manuscripts. Most times, you’ll feel like giving up when you send in manuscripts and you get no response. Hey, that’s life. So, buck up! There are many avenues to follow. Get online and start publishing, the entire world is online, and there are no more excuses about how no one will read your work. The fourth Question, How can I get an Audience? Publishing online made simple. – You’re in Kenya, you’re thinking I want an audience, and I don’t know how to reach them. Maybe, you do have an audience, and want to expand it. The first step is to establish your identity online. I was in a meeting recently where someone mentioned that blogs are taking over the world. There are so many blogs out there, and that’s how most people get their voices heard. So, you, my dear budding writer, why don’t you have one? 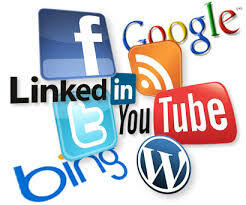 You can use WordPress, Blogspot, Tumblr, Flicker, and other platforms that allow you to Blog without cost. The goal here is to create your space. It will be a space filled with your words. It’s also a place where people give you feedback on your writing. Get noticed. Don’t just write three posts and stop because no one has commented. I’ve seen people who quit writing their blogs. Please don’t quit. Commit to that Blog, and don’t stop. Talk about your Blog, share your posts, get others talking about it too, through social media, also through your friends, and family. Build a brand around your writing. If you’re confident in your work, others will be too. 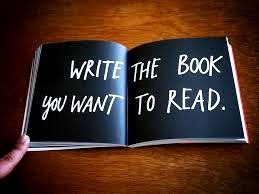 If you have written stories and they are typed up neatly, complete and ready for other people to read, think about self-publishing. 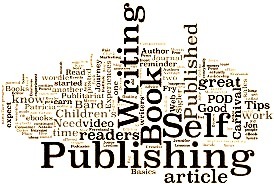 First, ask yourself why you’re thinking of self-publishing. Is it to make money? – This takes time, it’s doable, but it takes time. So, don’t quit your day job just yet. Making money through self-publishing means, you’re marketing your book daily, getting people to talk about it, and buy it. If you’re determined, you’ll get this done. Is it for name recognition while you try to get a publishing house to pick your book? – Well, this takes work too. Time and work. Whatever the reason, the first rule is not to stop at publishing one e-book. The best marketing is publishing constantly. Don’t stop with just one title. Otherwise, you end up as the one none-hit wonder. Be creative. A good story will sell itself. Don’t stop learning. Research what other authors have done, teach yourself grammar, and spelling rules, learn what genres are, find your niche, and explore it. Don’t stop learning. When you think you’ve mastered writing, hit the books some more. You’re in Kenya, there is loads of inspiration – The best part about our culture is that it’s so full of color. Don’t be afraid to explore it. Include the characters in your life, and you know they’re many who leave you wondering and asking questions. Turn them into fun characters in your stories, and highlight your culture. My Humble Advice is Don’t stop, no matter what. This part is important, so important; I had to write it in red. ^_^. Don’t stop writing. Most budding writers encounter a lot of challenges that make them shy away from writing. It could be the pressures of life, and making money. You know what, that’s understandable, make sure your life is going well. But, don’t shelf the idea of writing. Carry around a notebook, and that spare moment you have waiting for the bus, or taking a break, jot down a few thoughts. It will turn into something more, and before you know it, you’ll have a bunch of stories. Others stop when someone reads their work and they get negative feedback. Oh, this is not good. Oh, I didn’t like it. Don’t let such words stop you. I’ve had someone tell me that, and I made them tell me what they didn’t like. Was it the characters? Was it the story plot? Why didn’t you like it? Ask why, think it over, and then find a way to fix it. If the answers given don’t sound reasonable, then find a second opinion and a third. Just don’t quit. In fact, when you get that negative feedback, it’s time to write even harder. Hit the books, research what others have done, and then get back to your writing desk, and challenge yourself to do better. Go to seminars, seek out fellow writers, join platforms and learn more about the writing industry. You’ll slowly find your voice and your niche. So, are you interested yet? Get to it then! Start writing already! Much thanks for the inspiration in writing. That’s fantastic. I checked it out and shared it on my page. Will get to reading it this weekend and maybe do a review. You draw so well, wonder if you do book covers for other people? Let me know. Cheers. Thanks for the support. Right now I’m still in the process of colouring the book since the black&White version is the one available. I’m looking foward to your review of this first part of the book. On the matter of book covers, yes though it will depend on the kind of book cover (Artistic in a cartoon/comic way or a graphic/photograph type) required and a lot of other minor details. I’ll keep you posted on its progress. This first chapter of the book itself is 114pages long so hopefully over time when its completed in full colour we’ll get a full review of chapter1. For now it’ll keep being released in 30page versions digitally on the 254comics app&website. Thanks for the massive support Elly. Elly, first I would like to thank you for sharing invaluable information on publishing. I would like to know how I can self publish a book that I have completed writing. Once I get the ISBN and Copyright certificate. From here what is the next step? Hi Lemomo, so sorry for the late reply. Congratulations! on finishing your book. That’s a really great achievement, and now starts the job of sharing it. It is a great start to register your work for ISBN and copyright, that protects your original work. Now, to print it. Do you have an editor? If you are happy with your edited work, then you can start thinking of printing actual books. I’m currently really supporting this little company called Publish4all. They have great rates, and work very well with you, though they insist on your work being ready for print as they don’t offer editing services and all that. Their email is: p4akenya@gmail.com. Reach out to them to get a quotation for your novel. The other route is to upload your manuscript through sites like Smashwords.com and Amazon’s kdp. The easiest for you is Smashwords as, if your fiction or non-fiction book is good, you are paid easier with smashwords than Amazon. Check out both these sites and see how you can get your completed manuscript ready for upload, including your cover, blurb, and their requirements. Which one interests you? Let me know too. Then start a page, blog, social accounts and talk about your book. Market it, share it, and get people to know about it. This is a small snippet, of the work ahead for you. My email is: ellykamari@gmail.com. If you have more questions as you get started on this process, don’t be afraid to ask me. I’ll answer. Once again, congratulations. Hey, what type of novel have you completed? Looking forward to hearing from you. A God send and the hope of the hopeless keep motivating us. A good hope.I have short stories written, but unpublished.Thanks for the piece.I will never quit. I’m glad to hear it, David. Goodluck, keep writing. Hi Hassan, yes sure, I can highlight your swahili books too. If you send me the links, purchase locations, e.t.c. I’ll be glad to share them. hi just printed my first book…. book of poetry…. echoes my mother land Africa…. thanks for giving me direction to go next…. Hi Faith, Congratulations! on your printed book.